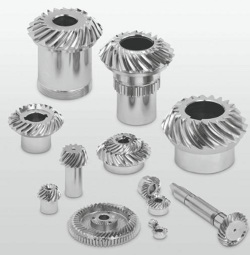 Low-backlash and low-noise spiral bevel gears from SUHNER MANUFACTURING INC. transmit the most power within the tightest dimensions. Each year, engine and motor power increases require more powerful angle gear heads. Engineering developments in mechanical engineering, the tool-making industry, and industrial hand tools call for higher rotating speeds while smooth and easy movement of the tool is maintained. Smoother running gears are also needed to combat dynamic noise. Apart from bearing and housing stiffness, the overall design and gear dimensions are essential for gear system optimization. 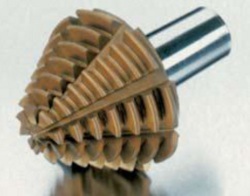 Palloid-toothed gears are based on a technical development from straight-toothed to spiral-toothed bevel gears. The teeth are hobbed in a continuous procedure with a conical hob. The combination of this continuous process on a single thread tool leads to a very accurate pitch of the teeth. Since the SUHNER Zyklo-Palloid gear hobbing meets and exceeds all high-quality manufacturing prerequisites, one-off, small, and large lot-size production requests can all be handled. In the Palloid-System, since the teeth are hobbed in a continuous process, the Module (Mn) can be freely selected. Therefore, a very high flexibility for the gear dimensioning and bevel gear calculation is provided. While both tooth systems have similar insensitivity characteristics for bearing, a high contact ratio as well as a very accurate pitch, the cost efficiency, and the high load root radius of the Palloid-System should be paid special attention. A further development on the proven Zyklo-Palloid-Toothing (soft-cut) is named "HPGS hard cut." The thermal deformation, caused from heat treatment, will be eliminated with boron nitride-coated knives. Therefore, the surface quality on the tooth flanks will reach grinding quality, according to DIN 3965, Part 3 (Quality 4 to 6 is available). 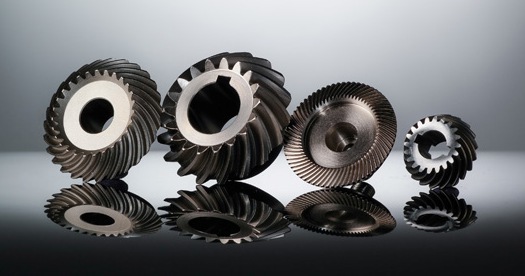 In combination with the material, the surface treatment, and the adjustment of the required lubrication, spiral bevel gears are one of the best solutions when it comes to redirect the maximum torque in other directions. All these can be achieved with small space and high mechanical efficiency. What has to be considered for the engineering? When dimensioning the gear geometry, several criteria must be considered: required ratio, number of teeth, and space/conditions. The criteria must be decided at the start of the engineering process. When the shaft angle ≠ 90° or the axis is offset, an axial-offset gear, called hypoid-gears, need to be constructed. Especially in times of growth, a reliable partner is essential. 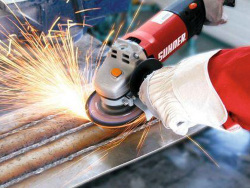 The SUHNER Company, which celebrated its 100th anniversary in 2014, has locations worldwide and over 750 well-trained employees to serve customers in these changing times. It is not always necessary to develop new devices for new design constructions. 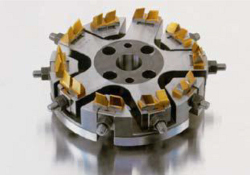 SUHNER offers standardized transmission and power transfer elements for many different applications. A wide selection of elements and devices in different sizes and versions is available. Gear sets are manufactured by high quality standards, guided by a thorough and critically developed value system, and delivered quickly. SUHNER designs, manufactures, and supplies in standard measurements to customer drawings. If you need further information, SUHNER's computer-assisted calculating method, technical support, and/or a quotation for the drive solution you require, please contact todd.newsom@suhner.com or phone 706-235-8046.